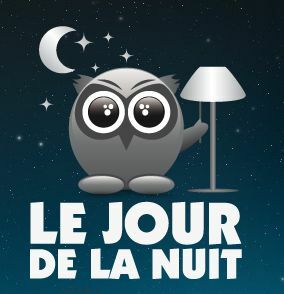 "Le Jour de la Nuit". The Day of the Night? If this sounds paradoxical, it is entirely my fault. It is my poor attempt at translating the day celebrated in France on 1 October for the third year now. As said in the official website, the day is set up to promote awareness of light pollution and protection of nocturnal biodiversity and the starry sky. Activities for the day include night walks, observation of stars, outings and turning lights off and the events of the last two "Days of the Night" are said to be successful. 1 October happens to be the National Day of a rather dark nation in the East. Perhaps it is a fitting choice of date for "Le Jour de la Nuit"?